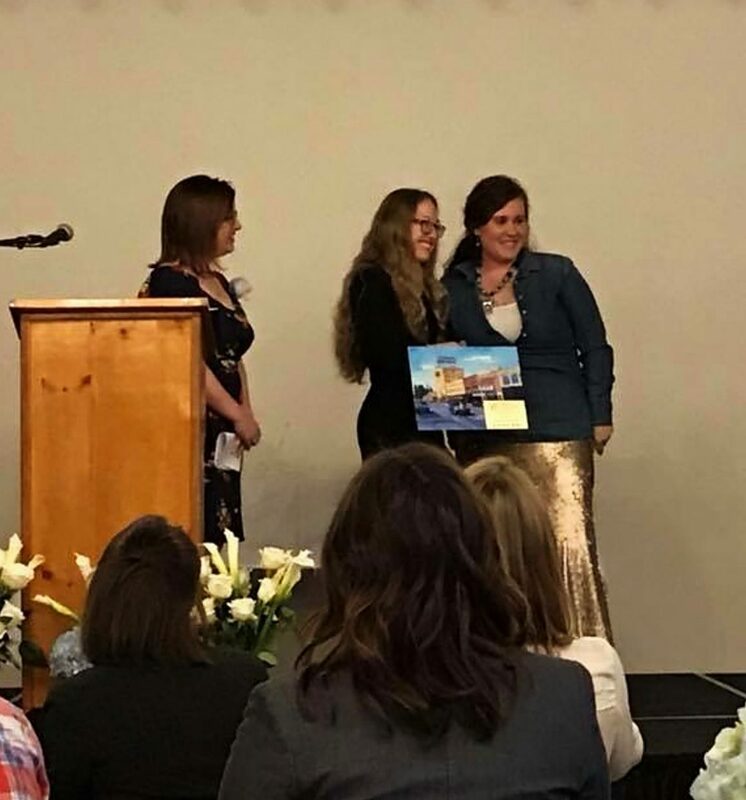 Karoline Rose, owner of KRose Company, was awarded "Young Careerist of the Year" at the Bozeman Business and Professional Women (BPW) Honors Award Ceremony April 4 at the Emerson Cultural Center in Bozeman. Bozeman BPW is a group of more than 150 diverse professional women who work to ensure Gallatin Valley women have the tools they need to succeed. They support women professionally, personally, and politically. They pool their resources, skills, and talents to innovate professional, educational, and networking opportunities for women. They honor local women who make outstanding contributions to the community and help women succeed. "I was very honored to be chosen for the Young Careerist of the Year award. It was amazing to be recognized for making a difference and creating progress in agriculture. This feels like another step in the right direction. We are changing the game and trailblazing social media marketing in agriculture to make the industry better." Rose, who owns and manages her own Angus herd, has also made a career out of helping other small business owners learn how to better market themselves online. Her company KRose Marketing & Consulting offers related services to facilitate the success of many start-ups and small businesses wanting to improve their branding. She and her company also market for bull sales and other large events. During her awards speech, Rose talked about being a woman in male dominated industries. "The biggest challenges I have faced in these fields has been gaining trust and respect from those with whom I do business. Countless times I have received phone calls and the caller asks to speak to my husband, who they assume is the actual business owner. I have to prove myself time and time again. Although this can be daunting, I am happy to be the one to cut down the trees on the path to more women gaining respect in these same fields. I still get the calls asking for Mr. Rose, but everytime I prove myself as a successful woman in business, it chizels away at the barriers females face in the industry." Mayor of Bozeman, Cyndy Andrus, won Distinguished Woman of the Year Award and Sola Cafe & Market was awarded Employer of the Year at the event.